The Olympics are now in full swing! Have you caught the fever yet? Here are some great books for your little ones to get them involved in the spirit! These all include facts about the games and the athletes participating in them. Alphabet series books. You can choose to read the small captions that pertain to each letter, or read the entire fact section on each page. It's a new adventure each time you read! Learn about all of the amazing events and milestones that have happened throughout Olympic history...some recent and some from long, long ago. Read through The 2012 London Olympics (The Olympics) to find information about London's history with the Olympics, as well as the various activities leading up to the actual event in London. It takes a whole lot of planning to make such a spectacular event! to answer all of the questions that come up! Were girls allowed to participate? How are the original Olympics similar to the games today? Flip through the pages or read from front to back! Learn all about the events of the 2012 Olympics and get to know the various athletes competing for a medal this year in The London 2012 Games Fact File! This is the perfect amount of information for a young reader! 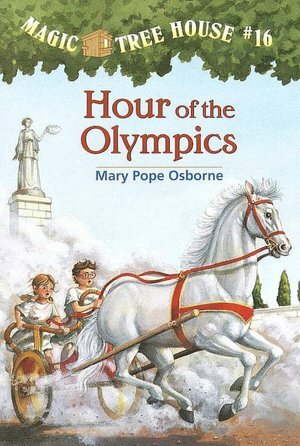 Stay tuned for more books to get your Olympic juices flowing!!! !